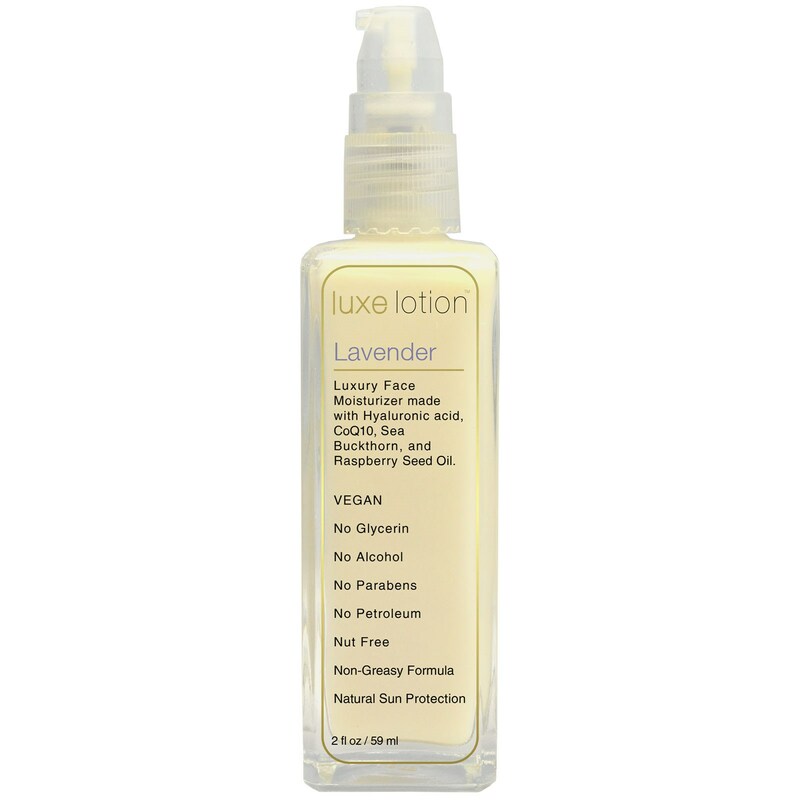 Luxury Face moisturizer made with Hyaluronic acid, CoQ10, Sea Buckthorn, and Raspberry Seed Oil. 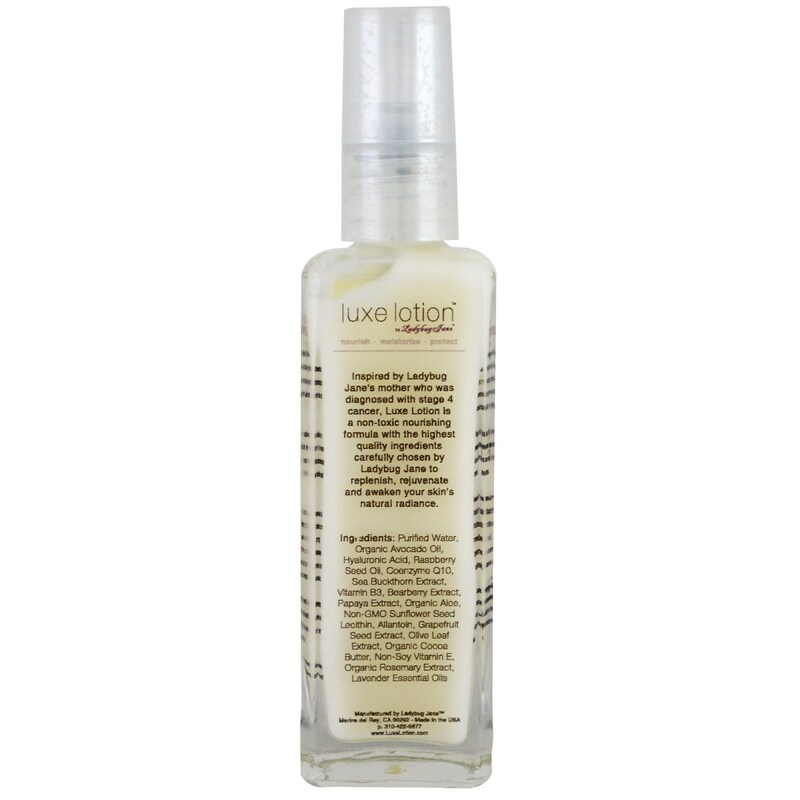 Inspired by Ladybug Jane's mother who was diagnosed with stage 4 cancer, Luxe Lotion is a non-toxic nourishing formula with the highest quality ingredients carefully chosen by Ladybug Jane to replenish, rejuvenate and awaken your skin's natural radiance. 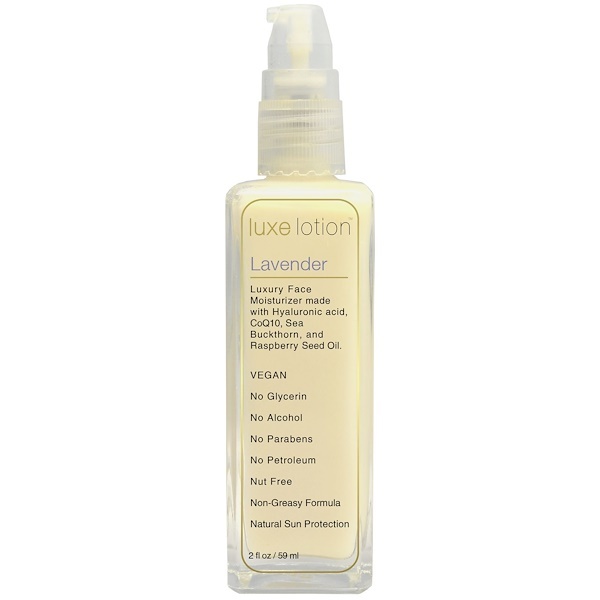 Raspberry Seed Oil is a powerful natural skin protector that acts as a borad-spectrum UVA and UVB shield with an SPF of 28-50. Sea Buckthorn native to the Hymalayas is rich in vitamin A, B, C, D, E, K, P, carotenoids, flavonoids, phenols, folic acid and fatty acids. 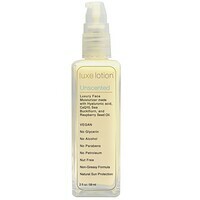 Papaya Extract is known for dramatically improving skin tone and texture by rejuvenating mature, dull skin. It increases better circulation and promotes a healthy, vibrant complexion. Vitamin B reduces UV generation damage, evens out skin tone and increases collagen production. Coenzyme Q10 reduces fine lines and wrinkles by energizing cells, aiding in the skin's natural ability to produce collagen and elastin. Очищенная вода, органическое масло авокадо, гиалуроновая кислота, масло семян малины, коэнзим Q10, экстракт облепихи, витамин B3, экстракт толокнянки, экстракт папайи, органическое алоэ, не содержащий ГМО лецитин семян подсолнечника, аллантоин, экстракт семян грейпфрута, Органическое масло какао, соевый витамин Е, органический экстракт розмарина, эфирные масла лаванды.